Archangel is honored to be sponsored by a local specialty bakery for the month of March. Morsels Espresso + Edibles created a special treat, and a portion of those sales will support our work. We are honored to announce a partnership with adventure clothing maker, Adv3nture. They are planting three trees with each product sold. The Archangel Moving the Giants project made an important step forward with a celebratory planting in Seattle on December 10, 2016. 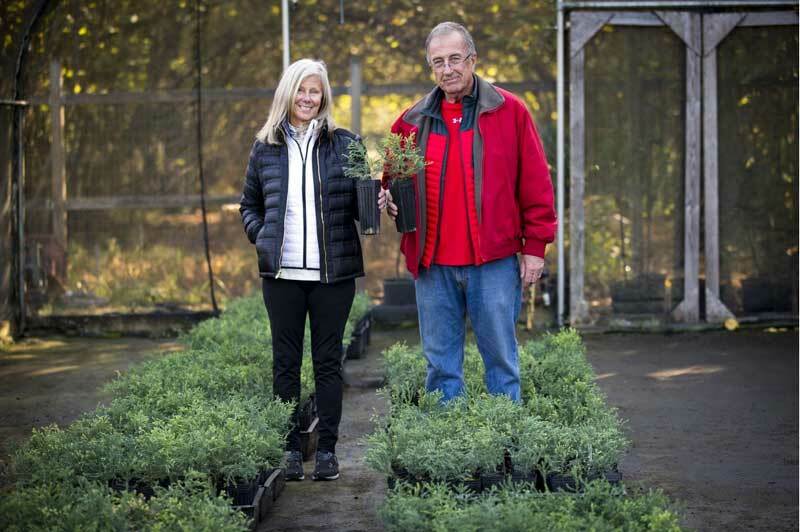 Redwoods cloned from giants in Coastal California are being planted in communities around Puget Sound to help preserve the species as the climate changes. Archangel Ancient Tree Archive is providing copies of old-growth coast redwoods – Archangel Champion Trees – that will be planted in 26 Puget Sound communities this December and January. Archangel’s work was just featured on CBS News. Reporters joined us on a recent collecting trip to the Sierra Nevada mountain range and filed this report.